From our archives, here are some of our students that have competed in various competitions in our area and at a state level. 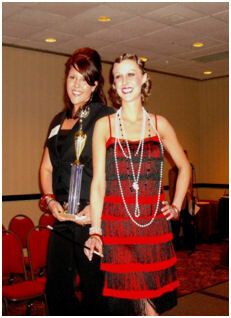 Sarah Higgins the winner with model Katie Byers at the Virginia School of Cosmetology Association in Richmond. 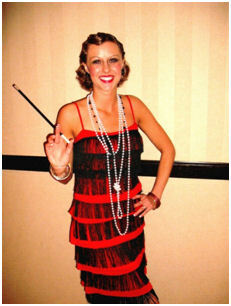 Katie Byers as a flapper was 1st place in the Fashion Show at the Virginia School Association convention in Richmond Virginia. 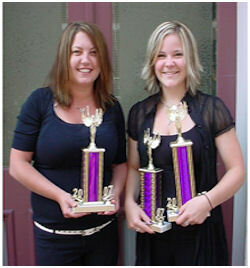 Brittany Traylor placed 2nd in the Virginia Association of Cosmetology Schools Student Competition in Richmond Virginia. 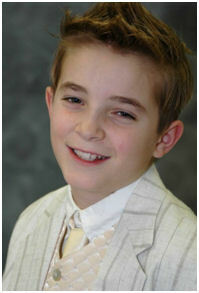 A “Talent Showcase” was held on February 2, 2008 at the School. Students presented models with a complete presentation of hair, makeup, and apparel. Friends and family were invited by the students while local Salon owners and stylist judged the Showcase. All seats were filled and the event was such a success that the school plans to host it in a larger facility the following year. 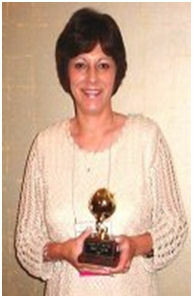 Gail Lyle was chosen “Educator of the Year” for 2007 by the Virginia Association of Cosmetology Schools. The Staunton School was proud of her achievement and that she was part of their team!! DeAnna Westcott and Jessica Fortune won 1st and 2nd place in the Virginia Association of Cosmetology Schools Student Competition!